Today, HRC responded to a shocking admission by the Department of Education regarding their refusal to respond to civil rights complaints filed by transgender students who are barred from using bathrooms that correspond with their gender identity. Just last week more than 700 parents of transgender children signed an HRC letter to Secretary of Education Betsy DeVos condemning her failure to protect transgender students and calling on her to recognize the basic human and civil rights of transgender young people in our nation’s schools. Also last week, Secretary DeVos complained about being criticized for not upholding the rights of students. Since the beginning of the Trump-Pence administration, the Department of Education, under the leadership of Secretary DeVos, has worked to undermine the protections and enforcement of our nation’s civil rights laws. 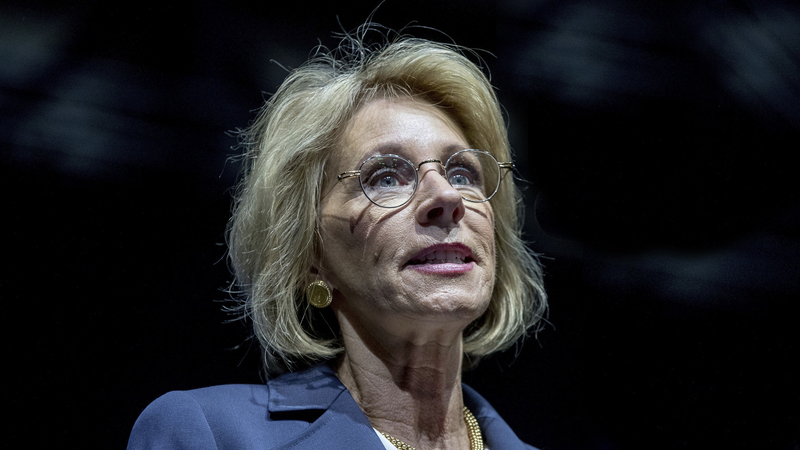 These actions, from withdrawing important guidance that clarified schools’ obligations to protect transgender students from discrimination under Title IX to rescinding Obama-era Title IX guidance related to schools' obligations to address sexual harassment and sexual violence, disproportionately impact LGBTQ people.